Going to let it sit a while and see if anything jumps out and hollers at me to be fixed! 1. Staining colors are really, really hard to remove when dry. Gee, I thought I already knew that. 2. I've been doing some experimenting with glazing, which I love the look of; but I'll have to admit there is that part of me that really likes direct painting, like alla prima in watercolor - strokes of deep, juicy color right off the bat. 3. I used a very limited palette with this, just 5 colors. I enjoyed mixing these colors and seeing how many other colors I could get. 4. I'm gradually getting to be a more thoughtful painter... instead of putting color down then changing my mind, scrubbing it out and redoing it I'm beginning to think ahead about what effect I'm after and plan it before putting the brush to paper. Keeps the painting fresher and is much less frustrating. On to the next painting! It is beautiful Teresa. I like the pinkiness on the snow. It is like a reflection of the red barn. OMG Teresa, this is just beautiful!! I truly love the color of the barn. You also captured cool crisp snowy day too. Well done! You're doing so well, Teresa. I'm really tickled to see you enjoying your new paints - nothing like getting new goodies to get you painting, is there? This came out really, really well & I wanna see more! Thank you for sharing Teresa. I noticed that Alizarin Crimson is the worse when you try to remove it from the paper. Although, if you work not on a paper but on a new surface called Aquabord (I am exploring this option and trying the new surface) any color would be easy to remove. The downside is that you pretty much cannot put layers..
Beautiful painting, and I appreciated your sharing the things you learned from doing it. I love the red of the barn--it glows against that white snow. Love the full delicateness of the finished winter barn. The shadows and tracks on the snow give it a cozy lived-in look and the barn itself is so inviting. Absolutely beautiful, just love it!!! Love the finished painting Teresa! You did a wonderful job ..great color of the barn! This ended up as beautiful as I thought it would be! If you like color and alla prima painting, maybe you would like gouache. They can mix with watercolor also. Hope we see lots more from you! A beautiful result with the new paints, lovely crisp colours. Looks like you are enjoying using them. This is just beautiful. I love how the limited palette pulls it all together, as in life. You really captured this snowy day in the country really well. Can't wait to see whats next. The limited palette created such nice color harmony! Really nice composition, to me, the tree branches bring your eye right around the painting. 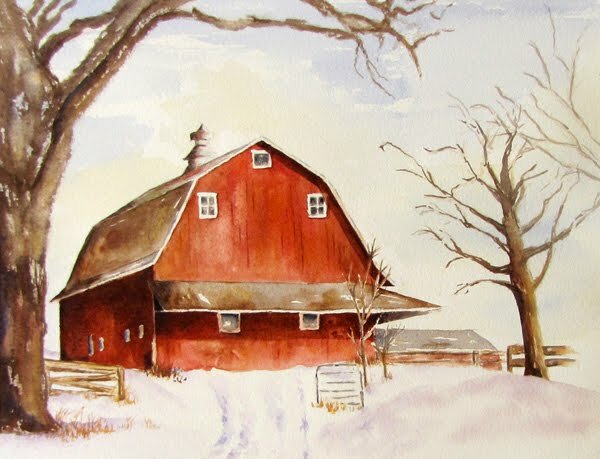 Teresa- I love this barn and the way you treated the snow which can be really difficult. Unfortunately, it seems that some of my favorite colors in my palette are staining! I like this! The barn looks so real! I feel like I could drive right up there. Now I need to get my paints out! A really beautiful painting Teresa. 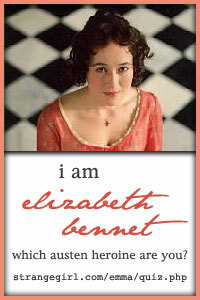 Hope you are better soon...I am a new follower of your blog.